Join us tonight, April 30th, 2015, for a party in the sand at Santa Cristina Beach in front of the Hotel Santa Marta. Here is some updated information about how you can join us. Please note that there have been some changes and it is important that you read all the information below. First of all, this is an official TBEX event and a registration badge is required to participate. Stop by the TBEX registration desk at the Evenia to check in and receive your badge and program. Registration will be open util 4:30 pm and will reopen at the Town Hall at 5:30 pm. Wear you badge to our beach party tonight. For those of you who can’t make it to the Evenia today, or are arriving later and going directly to the party, we will have a registration desk at the Town Hall departure location (more info on that below). Please arrive early to process your check in and pick up your registration badge. You will need it to get on the boat or bus. The party is on a sandy beach. Beach attire and appropriate shoes are recommended. We strongly recommend that you bring a jacket or sweater as it get chilly in the evening, especially when near the water. Back up plans have been made in case of inclement weather. We’ll meet at, and depart from, the Lloret de Mar Town Hall (map here). If you’re staying at one of the Evenia properties, you may want to catch a shuttle down to the Town Hall. We have two scheduled, one at 5:45 pm and the second at 6:15 pm. These shuttle will transport you to the Town Hall, but you are, of course, welcome to head there on your own. From the Town Hall there will be Two choices on how to get to the party. They are listed below so you can choose the option that best meets your personal schedule and needs. These are departure times, so plan to arrive early to board and get ready to go. 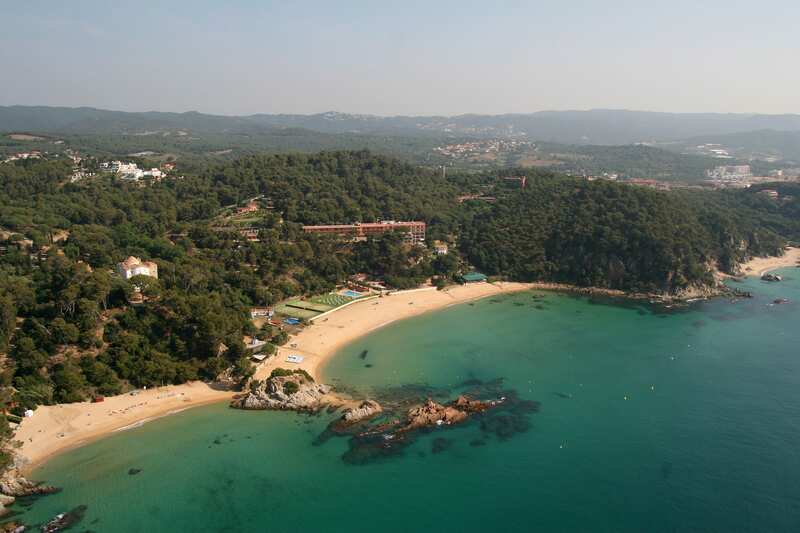 6:30 pm departure – Travel by boat to Santa Cristina beach via a scenic sailing along the coastline. This longer itinerary allows for more time on the water for coastal sightseeing. 7:00 pm departure – Direct sailing to Santa Cristina beach (sailing time approximately 15 minutes). 7:30 pm departure – Same itinerary as at 7:15 pm. There will be a number of boats making the trip, and can accommodate anyone wanting the scenic sailing or the direct transport. Please be on time. If you don’t want to travel to the party by boat, or if you’re arriving into Lloret de Mar a little bit later, there will also be a bus to take you to the party. We will have one bus departure at 7:45 pm from the Lloret de Mar Town Hall. All good things must end, and so must our opening night party. The party will end at 11:30 pm, with bus transportation back to the center of Lloret de Mar for the first drop off, then continuing on to a drop off at Evenia. Get a good night’s sleep and we’ll see you in the morning for our Opening Session kick off featuring a keynote with Jose Borralho, Nelson Carvalheiro, and Gary Bembridge.